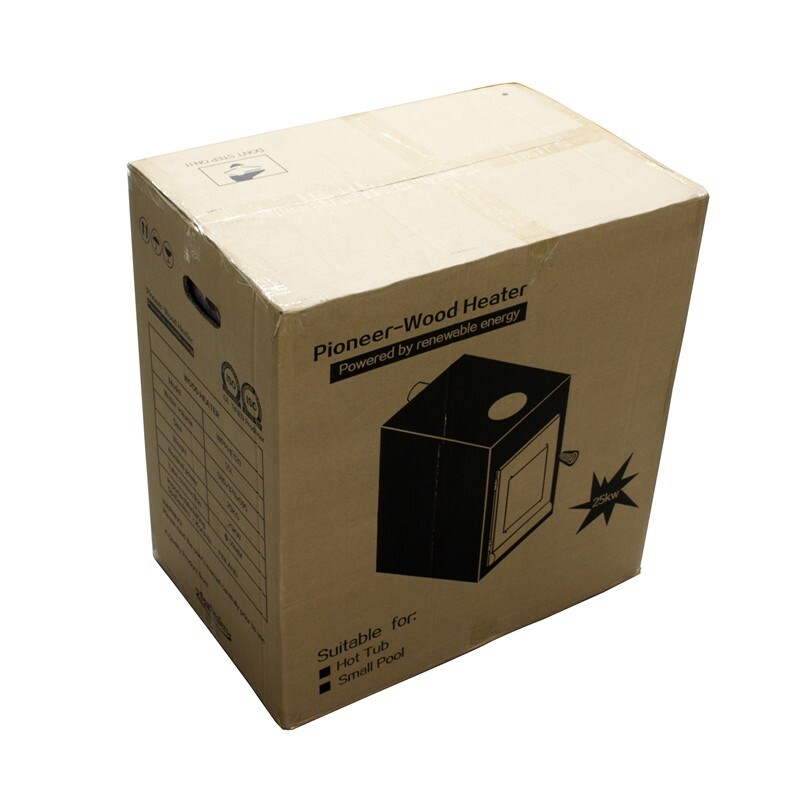 Pioneer Wood is a wood burning heater constructed out of aluminum. Nominal power 25 kW. Grate and front cover in stainless steel. Fired with wood and connected to a hot tub on the outside. 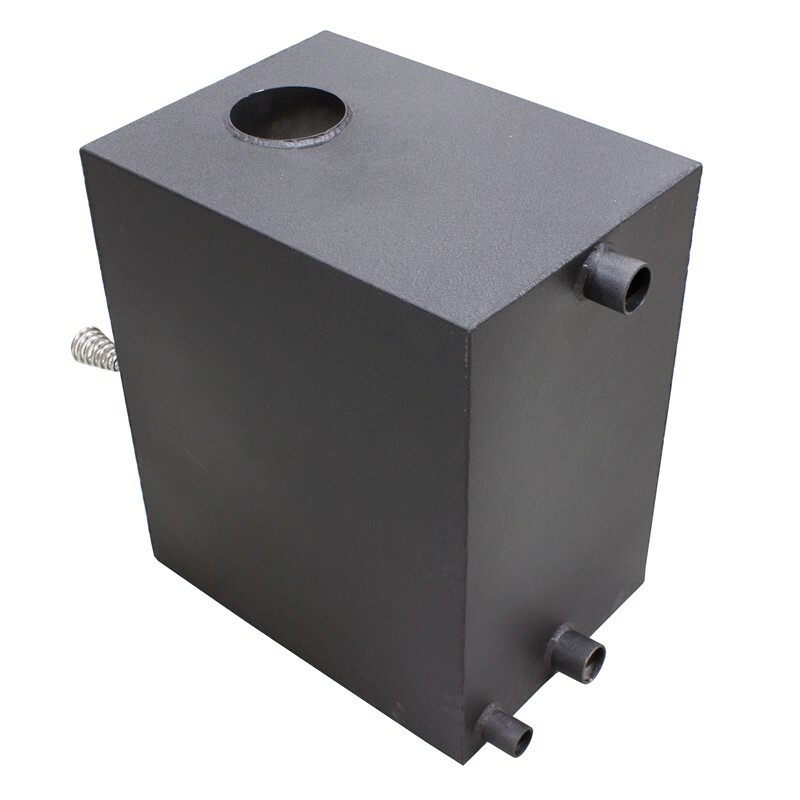 Chimney pipe 100cm and top for effective removal of sparks are separate accessories. Requirements may vary depending on location. 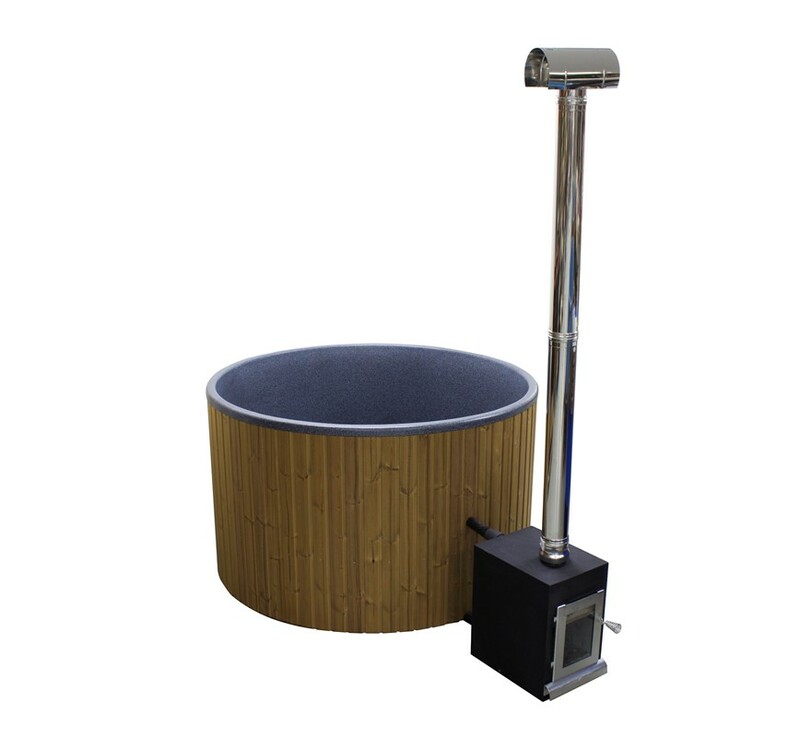 Connects to hot tub with input and output pipes (WBRUP) that are not included in the price. 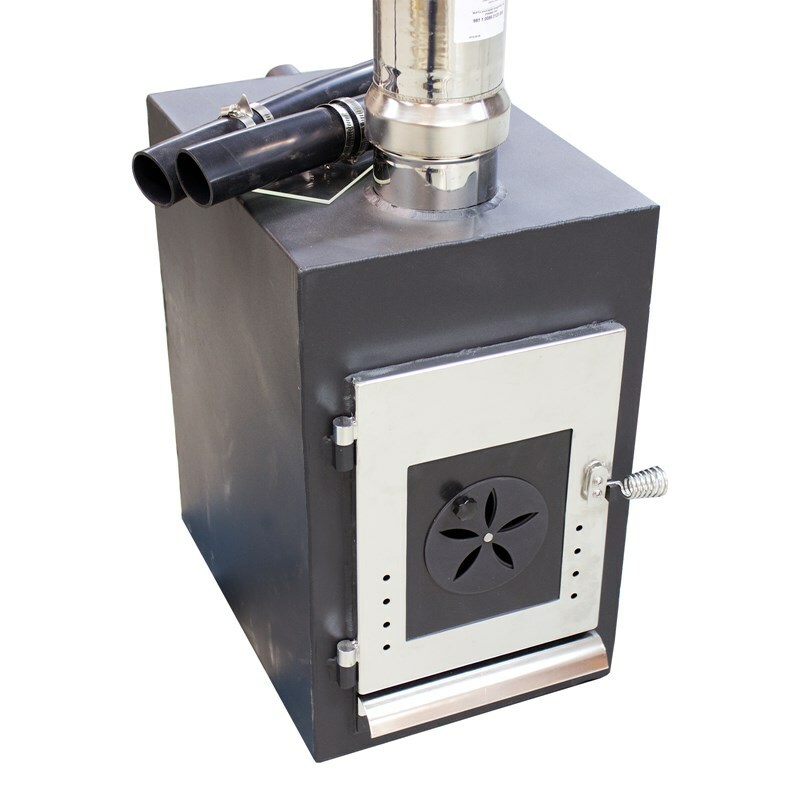 The heater has a large external surface area (dimensions 580x370x595 and weight 24kg), which is in direct contact with the air. 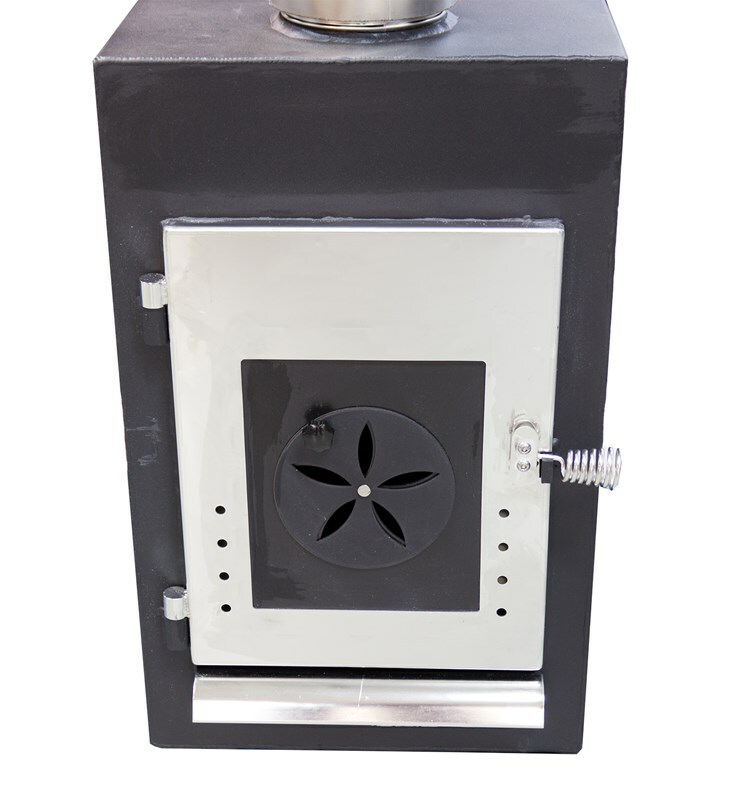 In cold weather is it a good idea to insulate the outside with insulating material or place it in a box. 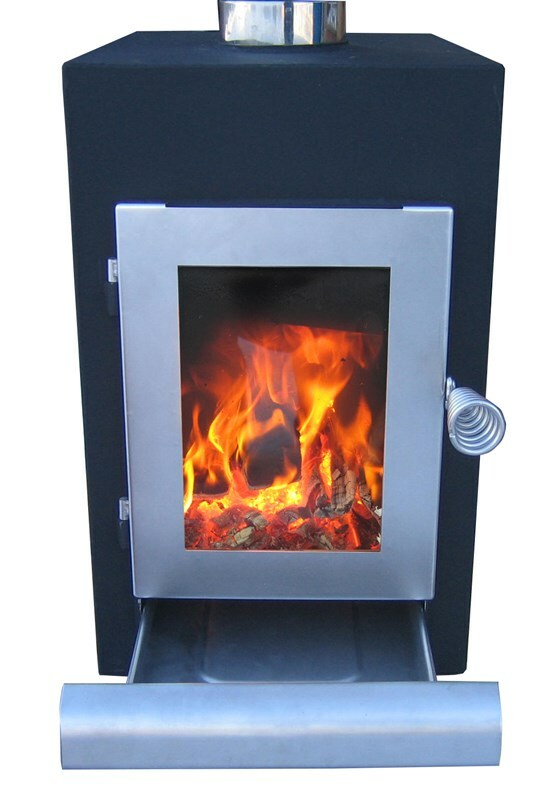 The heating time in winter can then be significantly reduced. Часто возникает потребность осушить водонагреватель (во..
Дымоход из нержавеющей стали, подключаемый к водонагрев..
Вершина дымохода для водонагревателя. Эффективно предот..